Billy Dee Williams is getting in shape for his return to a galaxy far, far away. The 81-year-old actor has been training for months for his return as Lando Calrissian in Star Wars 9, which was revealed to be happening in July before being formally announced by Lucasfilm in a casting announcement last month. Now, Williams has posted a new video online showcasing his training and it looks like he's taking some inspiration from Rocky. The video sees Billy Dee Williams training with Gunnar Peterson. Williams is throwing punches at Peterson's padded hands and most of us would probably consider ourselves lucky if we could throw punches this well in our twilight years. Williams hasn't been doing nearly as much on-screen work in recent years, so when J.J. Abrams officially decided to work him into Star Wars 9, the actor had to start getting back in movie shape. It appears to be going quite well. Williams had this to say in a caption provided with the video. "I can't think of a better to start my day. Feeling fit, healthy and better than ever. Taking care of body and mind go hand-in-hand. 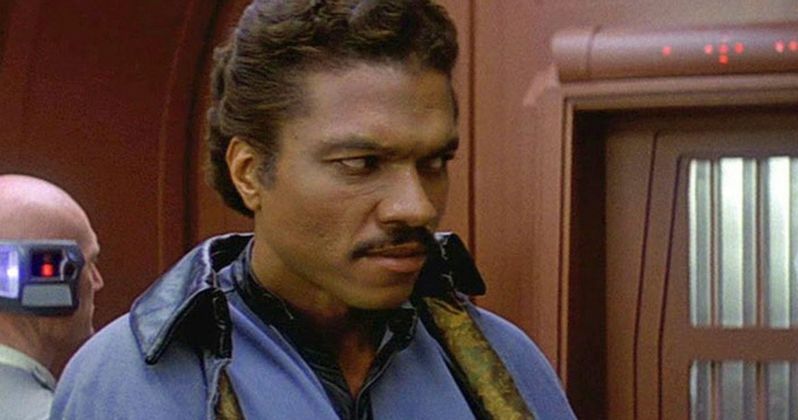 @Gunnar"
It's been a very long time since we've seen Lando Calrissian in the flesh, as portrayed by Billy Dee Williams. The character was introduced in The Empire Strikes Back, which many still consider to be the best movie in the history of the franchise. Williams reprised the role in Return of the Jedi but that was the last time he played the character in the flesh. He's provided the voice for Lando in several video games and in Star Wars Rebels, but the character wasn't included in The Force Awakens or The Last Jedi, Williams has just been waiting in the wings for his chance to return. Most recently, Donald Glover portrayed a younger version of Lando in this summer's Solo. With Han Solo dead and with Luke Skywalker relegated to Force ghost status (or so we think), Lando is one of the last original trilogy heroes Episode IX can hang its hat on. Carrie Fisher will return as Leia via the unused footage from The Force Awakens and The Last Jedi, but J.J. Abrams won't be able to film anything new with her. That puts a lot on Williams' shoulders. But he seems capable of handling the weight. Filming on what is being billed as the final chapter of the Skywalker saga kicked off last month and the shoot is expected to last through February 2019. New cast members joining the fold in the upcoming installment include Keri Russell, Dominic Monaghan, Richard E. Grant and Matt Smith. Star Wars Episode IX is set to hit theaters on December 20, 2019. You can check out the video from Billy Dee Williams' Twitter account for yourself below.